More Information: The project was a contract to Christopher-Kings and Associates by Growth and Employment in States (GEMS 4) (World Bank). 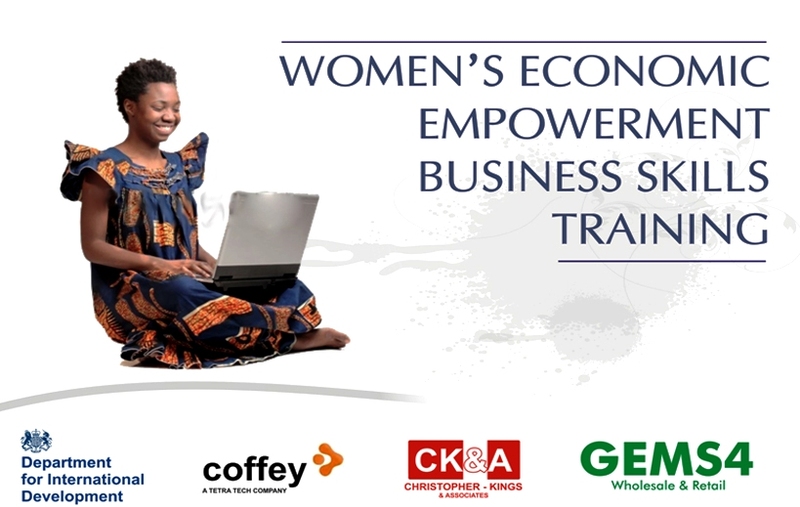 It entailed the development of Strategic Training plan and Curriculum to support women within the Wholesale and Retail Sector with improved skills on how to attain better quality of product as well as excellent management of their businesses. The training was provided to 2000 GEMS4 beneficiaries; across Kano, Kaduna, Lagos, and FCT. The beneficiaries of the training were Entrepreneurs, (SME operators), producers of locally made goods and Micro-retailers of Fast Moving Consumer Goods. The training curriculum designed covered the following topics and areas of skills. About Project: The project entailed the development of Strategic Training plan and Curriculum that would support women within the Wholesale and Retail Sector with improved skills on how to attain better quality of product as well as excellent management of their businesses. The training was provided to 2000 GEMS4 beneficiaries; across Kano, Kaduna, Lagos, and FCT. Job Description: Development & facilitation.